As I sat in the pew, silently praying for one of our link missionaries along with the ex-missionary who was leading from the front, I was feeling fairly peaceful. I was finally coming to terms with the idea that my husband and I were just not called to the mission field or to full-time ministry, and that was ok. It didn’t mean we were second-rate Christians. After all, there are people right here in Sydney who need to hear the gospel, aren’t there? Our own families, to name a few. So God is calling us to stay here and raise our family and work at normal jobs. Fine. Good. The prayer finished, but before she left the front, the ex-missionary suddenly chimed “But you’ll never, never know if you never, never go!” In an instant, all my doubts & insecurities, guilt and discontentedness came flooding back in. I was a second-rate Christian after all!! Not brave enough, not passionate or sacrificial enough. Not really doing anything important. Now, this sister in Christ had no intention of causing such inner turmoil for me. She probably didn’t think too hard about that line. After all, there are many people groups in the world who desperately need to hear the gospel, and people need to take it to them. The problem wasn’t with her, it was with my baggage! 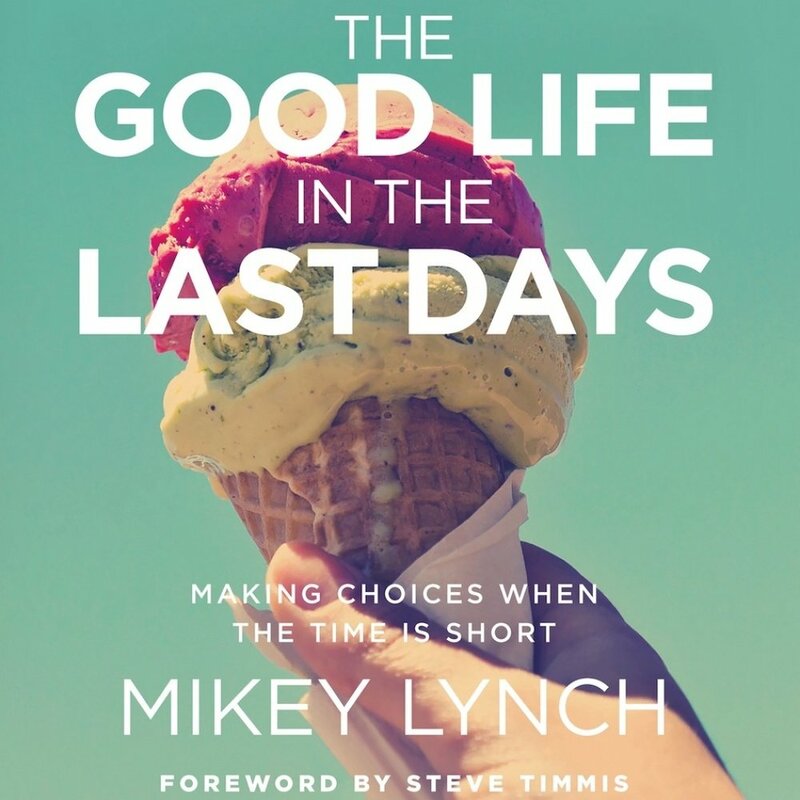 What I am deeply grateful for, in Mikey Lynch’s book, is that he is building such a complex, nuanced picture of the way in which the Christian life is lived out in all our diverse circumstances, and really pushing us to see past simplistic dichotomies to understand how we can embrace this calling in the particular kind of life we have been given. “Fundamentally we are also all living the same Christian life: loving God with all our heart and mind and soul and strength, and loving our neighbour as ourselves; we are simply expressing it in different ways.” These words are balm to my soul! In Chapter 6, Lynch calls out false guilt for what it is, “pointless and crippling”. But because of the strong work he has done in chapter 5 in pulling together a Theology of Sacrifice which articulates what it really means to be blessed, we can see this false guilt in the context of the very real call not to live for fleeting, worldly desires but to go after the blessing that is really worth having. So we can clearly perceive the difference between guilt that comes from a real inner conviction of our sinfulness, and the guilt that comes from a misplaced perception of what we need to do to be an ‘ideal’ Christian. It was so helpful to focus on ‘realism not idealism’ – to be reminded that God is interested in actual day to day godliness, not in people either being puffed up with pride or incapacitated with self-loathing for failing to fulfil an ambition that was never prescribed by the gospel. I am a wife to Pete, a mum of three girls, and a music teacher. I am a long-time member of the wonderful church family St Aidan’s Anglican in Hurstville Grove, having come to Christ through a youth group ministry at age 14. I love singing, reading (obviously!! ), walking my dog, Ned and going to see plays, movies and musical theatre.